We hope you will plan to join us for our September installment in our FREE 5K Fun Run series as we join the effort to raise awareness of substance abuse in Talbot County. 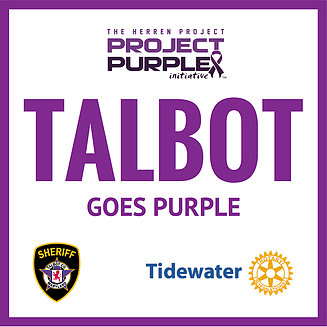 For this event, taking place on Sunday September 10, 2017, we are partnering with the Talbot Goes Purple community. More information on THP Project Purple is available at www.thpprojectpurple.org. Online registration for the 5K is open and can be found HERE. As always, the race will begin at 9:00am, with on-site registration and bib pickup available beginning at 7:30am here at the shop. We will have a brief race meeting at 8:45am. See you on September 10th!